The Father’s Office is located in the heart of the student precinct of the CBD, close to RMIT and next door to The State Library. Students and travellers seeking Melbourne’s hard to find happy hour congregate in the large balcony area at The Father’s Office. The bar is jumpin’ jumpin’ with people ordering $6.50 Absolute vodka’s and craft beers on tap. But the Father’s Office is also known on Instagram for it’s cute American style share plates and burgers. You will find share plates from polenta and parmesan cubes to pork cracking and popcorn chicken on the menu, enough to excite anyone who hasn’t eaten before drinking at the bar. 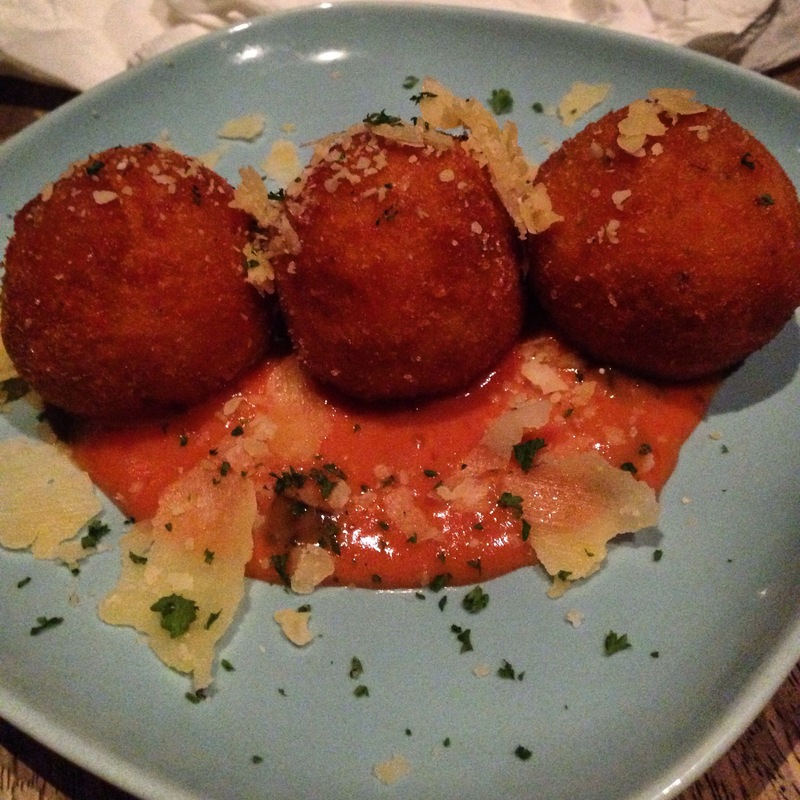 After ordering on an empty stomach, we were presented with the Home-style mac and cheese, arancini balls and fries. 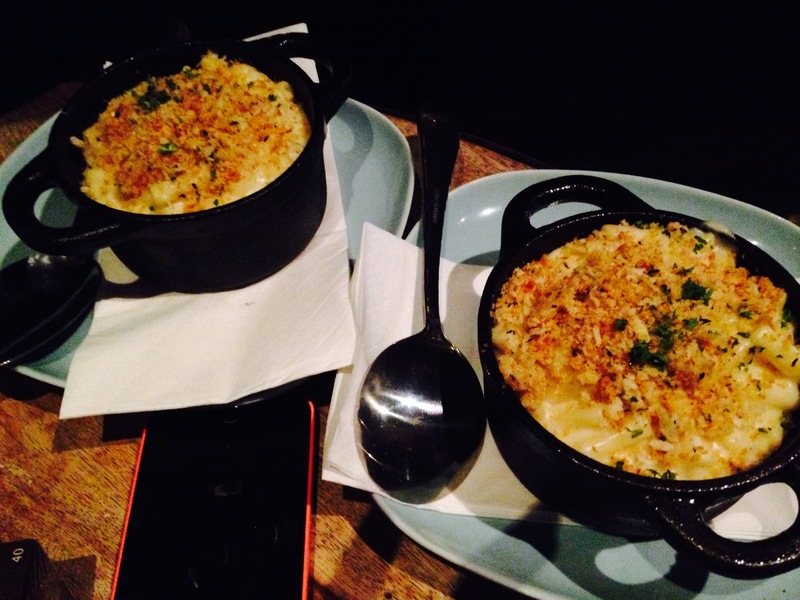 Rustic creamy mac and cheese baked with breadcrumbs and topped with cheese (bacon optional) was well presented and tasty enough for $8, but the dish was not big enough for one person, never mind substantial enough to share. Three Arancini balls that sat in a sweet smoked aioli for $6 were delicious, but you might want to order 3 plates of these if you’re hungry. 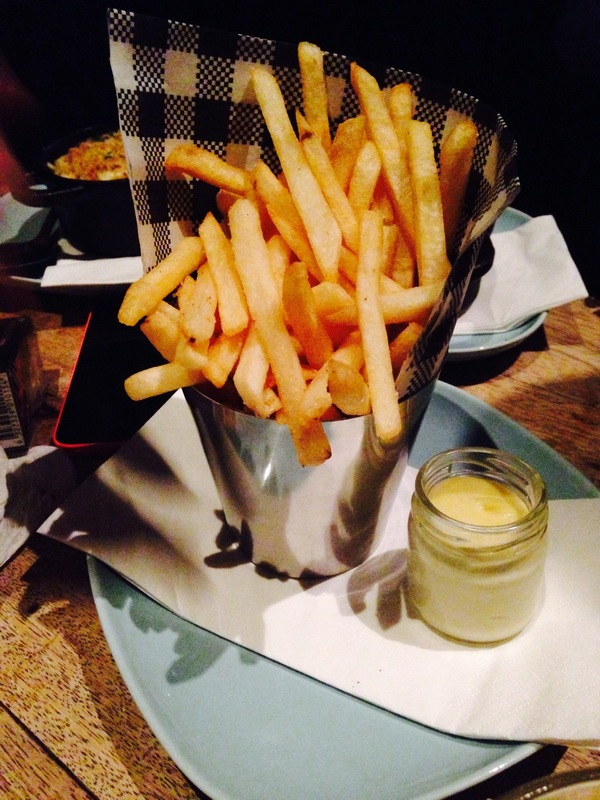 As for the fries, I have never seen such a small portion of fries served at a bar in my life. It was as if the chef of The Father’s Office took our order, walked down to McDonalds on Swanston Street, returned with a small fries and then poured them into a tea cup. I know you have potential Father’s Office, so please stop being so stingy.